What will I be paid? We ensure that our pay rates remain competitive for everyone (rates are restaurant specific and may differ depending on location). You will be paid every two weeks. The McDonald’s apprenticeship will build your confidence and develop your life skills whilst preparing you to progress in our business. You will receive training, coaching and support to prepare high-quality food and provide the best service to our customers. You’ll have a dedicated Apprentice Mentor from McDonald’s who will be there to support you throughout your apprenticeship. Alongside your McDonald’s learning, your Lifetime Trainers will give you additional knowledge, skills and behaviours to succeed in your role. What will the role include? •	Prepare our customer’s meals with care and respect to McDonald’s gold standard! •	Ensure our customers have a special experience, every time! Be genuine, patient and adapt to their needs. •	Keep up-to-date with knowledge on our menu promotions. •	Learn how to work on the different food preparation stations, producing high-quality food for our customers. You’ll be working in our fast-moving, high energy environment and we’re looking for a genuine smile plus an ability to connect with customers and make them feel valued. If you are confident in approaching and dealing with diverse groups of people, friendly have high energy and take pride in your appearance, this could be the role for you! 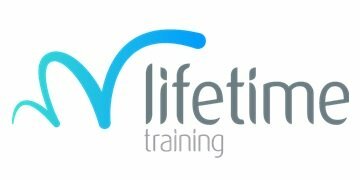 Lifetime Training's founding principle was to support individuals and businesses to perform better through the delivery of outstanding training programmes. Today this principle remains core to our business and has enabled Lifetime Training to become one of the UK's top training providers, offering Apprenticeship programmes, recruitment services and self-funded training courses. We have developed the skills and careers of thousands of individuals and have improved the performance of some of the biggest, and smallest, employers in the UK across a wide range of business sectors.